Our thanks to Thomas, a very knowledgeable and keen dinosaur fan who sent into Everything Dinosaur a couple of illustrations of prehistoric animals earlier this week. One of the drawings featured a trio of Deinonychus dinosaurs battling with a hapless Ornithopod (Tenontosaurus). Deinonychus (D. antirrhopus) was formally described by the highly influential John Ostrom in 1969. Depicted as an agile, highly active predator, Ostrom championed the idea that dinosaurs were very different from the cold-blooded reptiles of today. Ostrom’s interpretation of Deinonychus was of an aggressive, lightly built biped with wonderful balance and a great turn of speed. 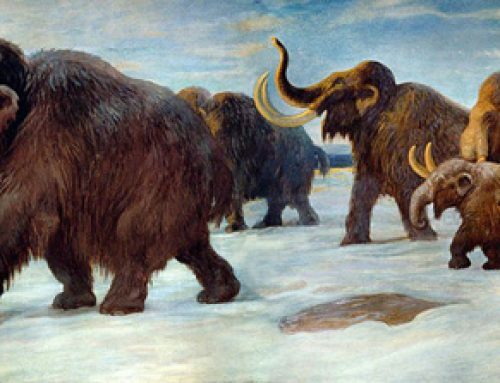 Unfortunate herbivores had to face fearsome jaws lined with sharp teeth and that highly curved, killing toe-claw that in larger animals was around thirteen centimetres long. A number of Deinonychus fossils have been found in association with the herbivorous dinosaur Tenontosaurus (T. tillettorum). The close proximity of predator and potential prey in the fossil record has been interpreted as evidence that Deinonychus packs hunted and killed Tenontosaurus. A trio of “raptors” attacking a Tenontosaurus dinosaur. It’s a great picture Thomas and we appreciate you drawing the Deinonychus dinosaurs as feathered dinosaurs! Several famous artists and illustrators have been inspired by the close affinity between the fossils of Tenontosaurus and Deinonychus and they have produced amazing illustrations of an encounter between these two types of prehistoric animal. Perhaps, one of the most famous of these illustrations was created by the renowned British palaeoartist John Sibbick. A pack of Deinonychus attacking the herbivore Tenontosaurus. The John Sibbick artwork was originally commissioned by the London Natural History, at a time when the idea of feathered members of the Dromaeosauridae was still controversial. Over the years, we at Everything Dinosaur have seen lots of Deinonychus attacking Tenontosaurus illustrations, our congratulations to Thomas for his wonderful pencil drawing. Ironically, Everything Dinosaur and Rebor are going to have a trio of Deinonychus figures available soon to compliment the Rebor 1:35 scale Acrocanthosaurus (Hercules) and the Tenontosaurus tillettorum (Ceryneian Hind) diorama. 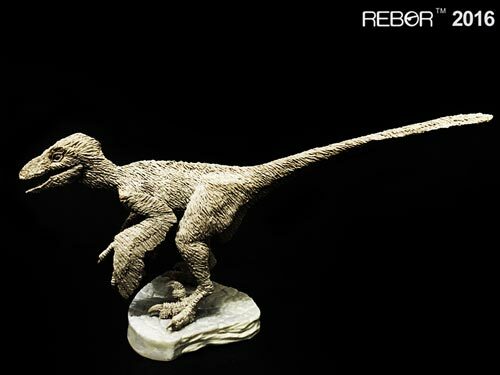 An early image of one of the Deinonychus replicas from Rebor. (Cerberus Clan). The set of three Deinonychus models the “Cerberus Clan”, was originally scheduled to go on sale from Everything Dinosaur in November, however, it is likely that these models will not arrive until the middle of December. We will post up more details about these 1:35 scale dinosaurs in due course. Our thanks once again to Thomas for his fabulous drawings.